Adapting to a new way of lie and becoming a healthy person is probably among the hardest and most exhausting processes in the world, especially if you’re used to eating whatever comes your way and not caring about your weight. However, making responsible food choices is more than just about your weight – it’s about your appearance, your self-esteem, the first impression you make and the clothes you can wear. 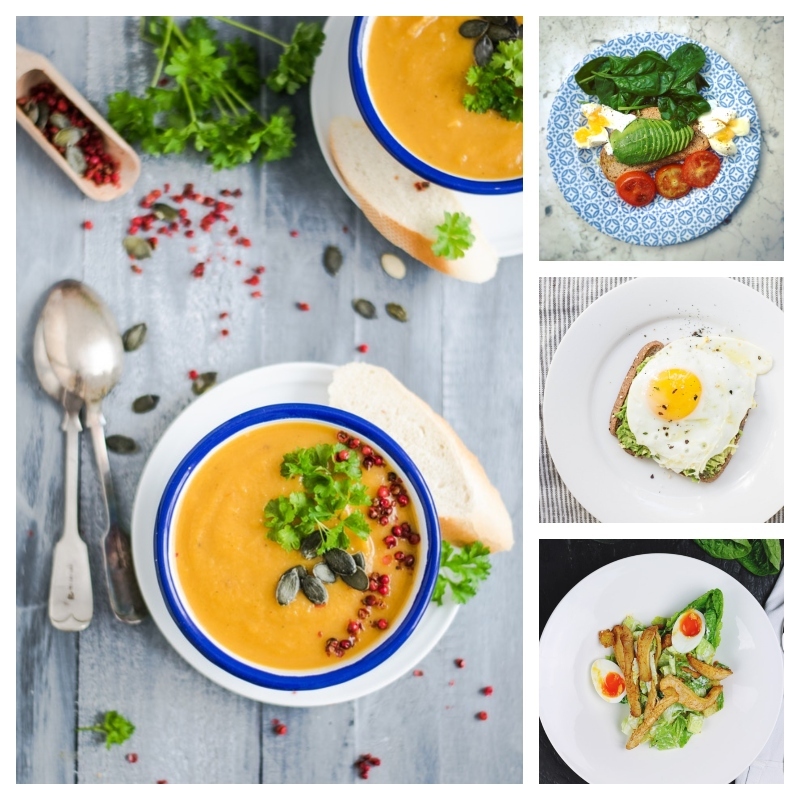 These are all the reasons why adopting healthy eating habits as soon as possible is of the utmost importance for your mental and physical health, but if you’re unsure how to do so, here are a couple of ideas that might help you achieve your goals and ultimately transform your lifestyle. This is simultaneously the hardest and the most important step you’re going to make on your path towards a healthier life. Being absolutely sure what you want to accomplish, when you plan on looking your best, what you’re able to do and how you’re going to reach the goal is vital, and as soon as you understand these things, you’ll be able to act on them as well. That’s why you should get organized, make a viable plan and set goals you’ll be able to achieve. Visiting a nutritionist is one of the first things you should do – it’s beneficial on so many levels and these are the people who can help you identify your eating problems and show you how to deal with them. What’s more, a nutritionist is going to come up with a unique dieting regimen made especially for you, so schedule an appointment with one today! While not everyone is a fan of sodas and alcohol, most of us just love opening a bottle of cold Coca-Cola or a beer and enjoy it on a hot summer day. However, this is probably the worst nutritional choice you can make, no matter how happy it makes you feel. Consuming excessive amounts of unhealthy drinks is bad for your weight and looks, but it also affects your mental health and the way you feel. What you need to insist on instead of all these drinks is water – clean, simple, plain water is the best thing you could get inside your system on a daily basis. Drinking at least two liters of water a day might seem like a bit too much, but it’s really a glass every two hours, so it’s actually quite doable. Ultimately, water is going to make you healthier and help you lose weight, but also provide you with lots of natural nutrients and minerals everyone needs so desperately. Eating out, ordering take-out and sticking to fast food are three of the best ways to ruin your health and destroy your waistline for good. That’s why you should stay far away from these habits and learn how to cook healthy food. While this may seem hard and unmanageable at first, it’s really not that hard once you get the hang of it. The problem most people have with cooking on a daily basis is managing their free time – after all, not everyone can afford to stay in the kitchen for four hours every single day! That’s why you should get organized and find simple recipes that are easy to make yet still healthy. Alternatively, you can cook during the weekend and freeze your food: just use one of those powerful Thor kitchen ranges to make this process smooth and enjoy the cooking. This way, you can just defrost your meals using a microwave and still enjoy some healthy food every night of the week. Let’s be honest – we all need snacks every once in a while, but not all snacks are the same. Chocolate, ice-cream and cookies are bad for you, yet these aren’t the only snacks you can opt for. Finding healthy alternatives might take some time, but once you find them, you’ll be on the way to a healthy life in no time. Different kinds of fruit, nuts, dried veggies and even popcorn are among the healthiest snacks that will help you lose weight and feel good all day long. You can eat these basically anytime you like and as much as you want, but try not to go overboard because even the healthiest food choices might still be harmful if you eat too much on a daily basis. Making sure you eat your breakfast, eating your meals slowly, insisting on whole-grain products and low-fat dairy as much as you can are some of the other ways to become healthier than you’ve ever been. However, you mustn’t forget that consistency is the key to success, so don’t give up after you’ve lost a few pounds, but keep on going until you’ve completely adapted to this new lifestyle.